One size fits most - Adjustable Snap. Material : 100% Cotton. PLNU San Diego White/Blue Baseball Cap Snapback One Size Fits All. Snapback adjustable. In very good condition. 99% of our hats are used. 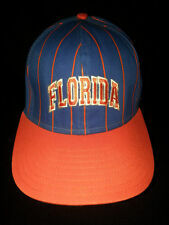 Hat is in great condition. No visible flaws or excess wear. (See Photos for more details). 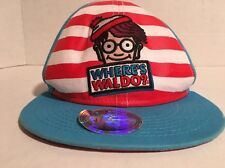 Where's Waldo Red White Blue Striped Stripes Flat Snapback Hat Snap Back Cap 4th.